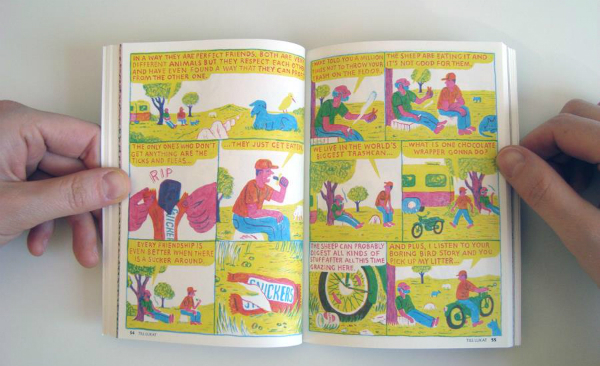 For the recently released ‘BFF’-themed edition of their digest-sized š! anthology the kuš! 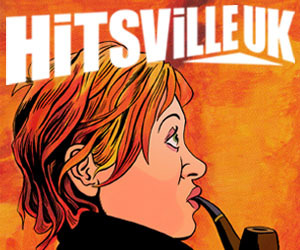 comics team opened up the book to submissions for the first time in a number of years. Having chatted with kuš!’s David Schilter and Sanita Muižniece at last October’s Comica Comiket at the Lightbox in Woking I was well aware of the overwhelming response to that shout-out and just how small a percentage of the work that was sent to them could make the cut. It’s a mark of just how well regarded the Latvian micropublisher has become over the last decade that so many top indie talents from across the globe want to be seen within its acclaimed pages. The resulting collection is a carefully curated compilation of shorts on that sub-titular theme of ‘Best Friends Forever’, many of which embrace both the experimental spirit of kuš! and a darker take on the book’s subject matter. As ever, the international line-up of contributors is hugely impressive with artists representing many continents and countries including India, New Zealand, Japan, Algeria, Brazil, Mexico, the UK, the US, China and Portugal. Focusing on some familiar names to BF readers first, Gareth Brookes provides one of the true highlights of the issue in the 8-pager ‘No Strings’ (below). This embroidered comic strip is a vignette of the lives of disaffected lovers and is so notable for the manner in which its format becomes an intrinsic part of its narrative. 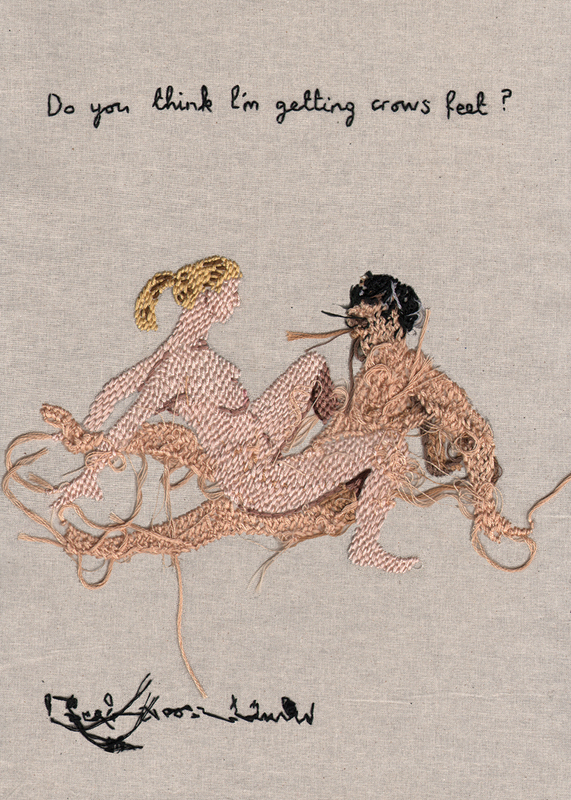 Each two-page segment displays the stitching from the alternating page, incorporating it into the story and creating a sense of both intimacy and detachment. 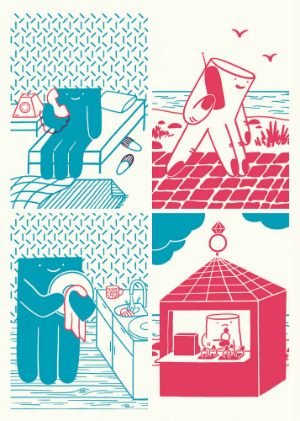 It’s quite brilliant in both construction and conception and a reminder not to miss Brookes’s second full-length graphic novel, A Thousand Coloured Castles, published this year by Myriad. 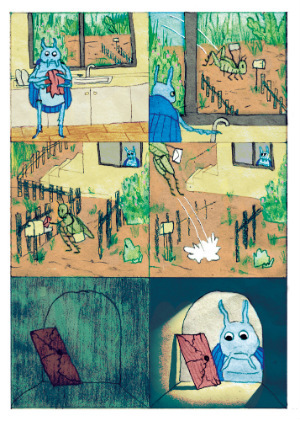 Another Broken Frontier-featured artist Till Lukat, whose Off the Grid webcomic was covered here a few months back, juxtaposes the interdependency of the natural world with the selfishness of humankind towards the environment in the measured and vibrantly coloured ‘Watching Sheep’ (below). It’s another entry in the book that gives a broader interpretation of the ‘BFF’ starting point and does so to make cutting topical commentary. Other highlights in #27 include French-Algerian Melek Zertal’s dreamlike ‘Yuki’ – a story of sudden random loss that makes pronounced and intelligent use of colour to evoke a sense of unresolved tragedy. 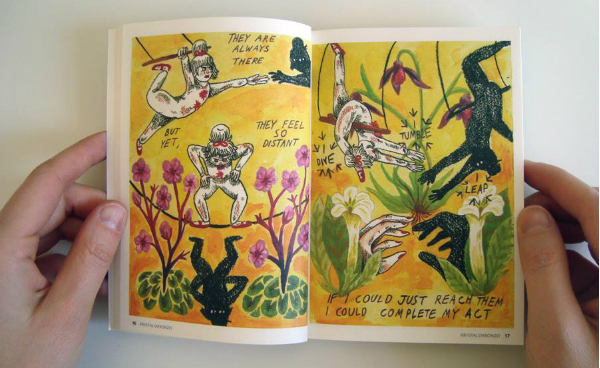 The US’s Krystal DiFronzo’s ‘Peace Be to Her Gentle Shade’ (below) combines visual metaphor and multiple sequences within single panels to examine ideas of self-discovery, while Indian contributor deadtheduck’s ‘Wide Awake’ is a rhythmic existential fable that also meditates on loss and its ability to trap us in an inescapable, spiralling routine. Bleaker humour is something of a recurring theme throughout, with Austrian Lukas Weidinger’s tale of a stag night prank gone horribly awry being an excellent example and one that makes a particularly clever use of lettering tricks. But there are also poignant and heartwarming offerings too. Tor Brandt of Denmark’s unusual study of the parental bond is one example, as is Latvian Līva Piterāne’s endearing ‘Tea’ (below left) which is a quite beautiful piece of symbolism that utilises contrasting colour schemes to build up to a growing feeling of togetherness. Two of the most affecting stories come from Derrengueta in ‘Hakuna Matata’ (above right) and Shee Phon in ‘I Thought We Were Best Friends’. The former adds a touch of black comedy as parodic Disney overtones are contrasted with a broken relationship destined to go forever unrepaired through the whims of cruel fate. The latter is a quietly devastating look at how distressing it can be to realise your friendship was never actually valued by someone you cared about, as a childhood bond is casually discarded when no longer needed. 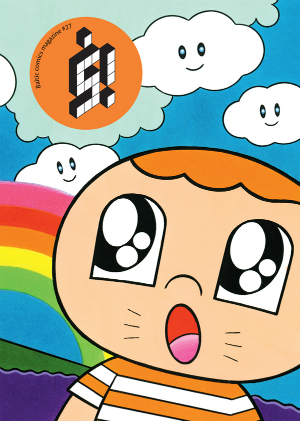 Hironori Kikuchi’s cheery cover is quite delightfully and playfully deceptive as this latest issue of š! defies easy expectations of its advertised central theme with those multiple takes on – and approaches to – the BFF notion. The many hours that Schilter and Muižniece must have spent sifting through those hundreds of submissions have paid dividends. š! #27 is one of the most absorbing and eclectic issues of the book to date. A Guide to the South London Comic and Zine Fair Communal Table – Broken Frontier Are Here to Champion Your Work at SLCZF 2018!